RAWALPINDI, SEPT 13 (DNA) – – Mr. Cesar Guedes, the UNODC Country Office Representative in Pakistan and Mr. Yusuke Shindo, Minister/Deputy Chief of Mission, Embassy of Japan, handed over 200 drugs and precursors identification kits to Anti Narcotics Force (ANF) during the handing-over ceremony at ANF Headquarters, Rawalpindi. The UNODC test kits, developed and produced by the Laboratory and Scientific Section, Division for Policy Analysis and Public Affairs, was one of the agreed deliverables under the Japanese funded UNODC project, which is aimed at strengthening border security against illicit drug trafficking and related transnational organised crime. Mr. Cesar Guedes, the UNODC Country Office Representative in Pakistan, said that UNODC along with its international donors especially Japan is committed to strengthening operational capacities of ANF and other LEAs for addressing the drug trafficking and global organised crime issues through proactive responses. Mr. Guedes thanked the Government of Pakistan for committing to smooth implementation of the Japanese funded project activities (2016-2019) and specially thanked the Government of Japan for its commitment and generous financial support for this very important project. 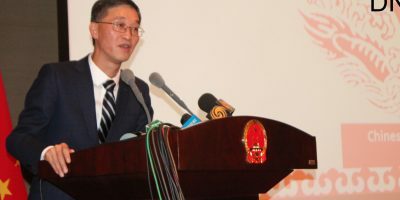 Mr. Shindo, Minister/Deputy Chief of Mission, Embassy of Japan, acknowledged the efforts done by UNODC and ANF and highlighted the importance of these drugs and precursors identification kits to enhance ANF capacity for effective interdiction and investigation of illicit drugs. 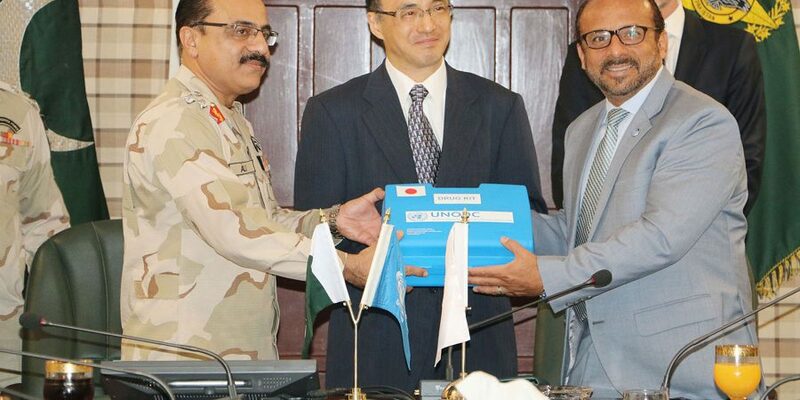 He reaffirmed Japan’s commitment to helping Pakistan combat all types of transnational organised crime including illicit drug trafficking which hinder the economic development and over all prosperity of the country. 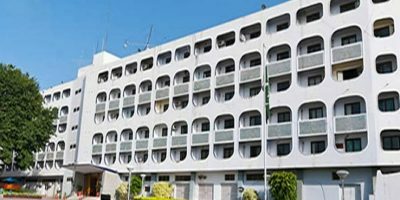 He noted that enhancing the border security between Pakistan and Afghanistan is crucial as the stability of the region is essential to not only the national security of Pakistan, but also the effort of international society on defeat of the global drug trafficking. UNODC is leading global efforts against drug trafficking and is the guardian of all international conventions on drugs and transnational organised crime. UNODC Country Office in Pakistan has been active for over 35 years and works in close collaboration with the Government of Pakistan.